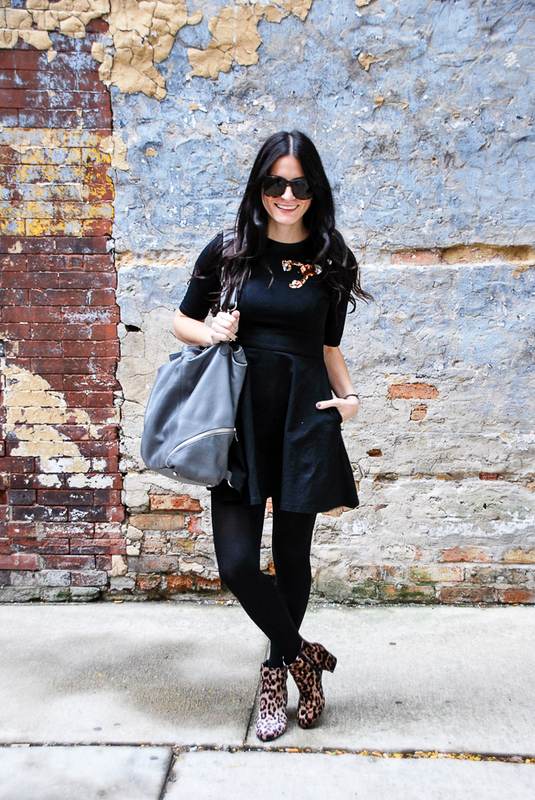 A fall LBD (Little Black Dress) is a closet must! 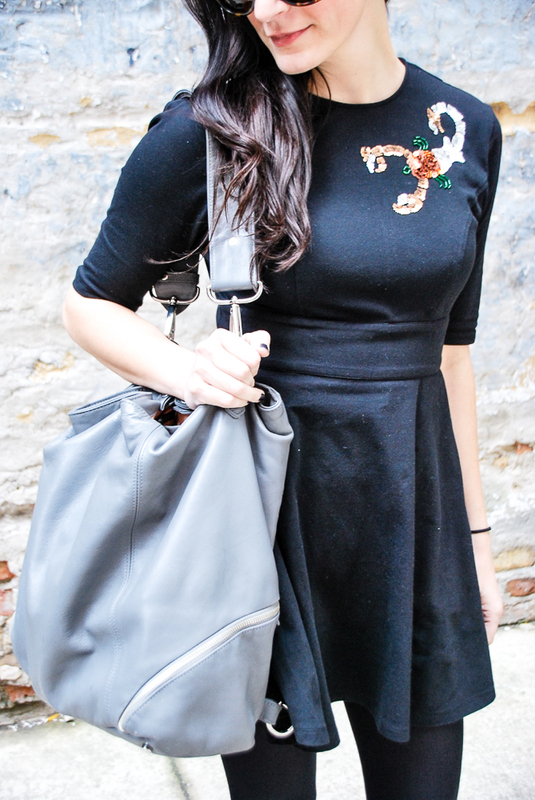 I customized this LBD from eShakti. I thought it was a perfect birthday gift to myself and also because I love the embellished scorpio. eShakti is such a different company because of the customization. You can pick the material, style and length of a dress. They make the process so easy and it’s like you’re designing your own dress just by entering in your measurements. The only difficult part is choosing a dress! I decided with this dress to make it a mini style and to have longer sleeves. 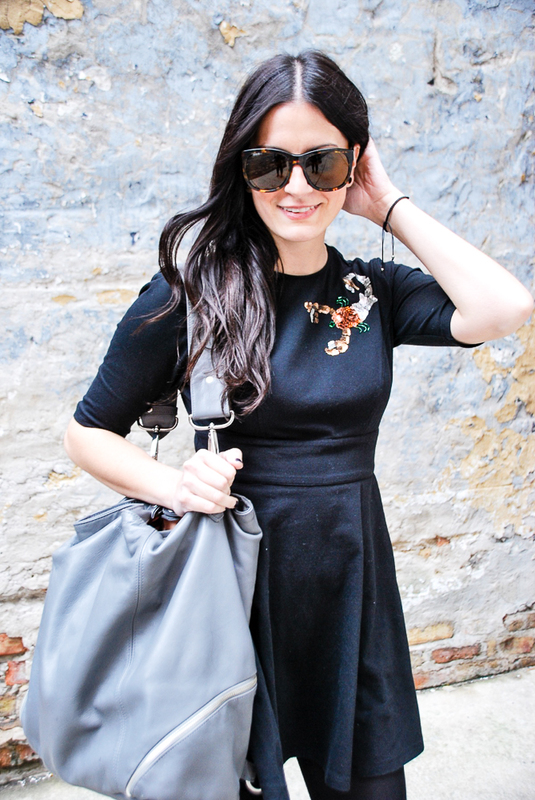 A classic LBD is one of my favorite pieces to style. It’s like a blank canvas. 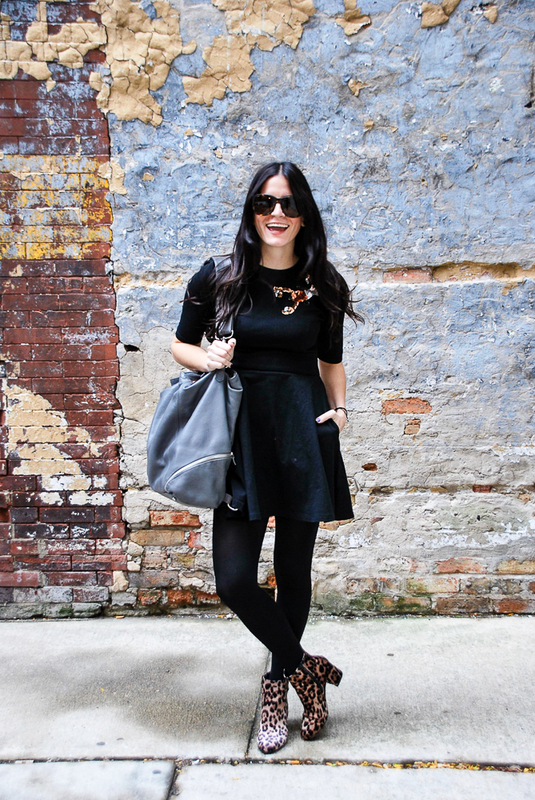 In the fall and winter, I love pairing a LBD with tights and booties. Your shoes and accessories should make your outfit pop. Also, make sure that your dress fits you well. There’s nothing worse than a dress that doesn’t work with your body. And since your body changes over time, it’s important that you are conscious of this. Then in the spring and summer, you can pair your LBD with sandals or sneakers for a more relaxed look. Another thing I like about LBDs in general, is that they can be layered and just have fun with them. you. those shoes. i luv both. BAYBEE! I love you too! !